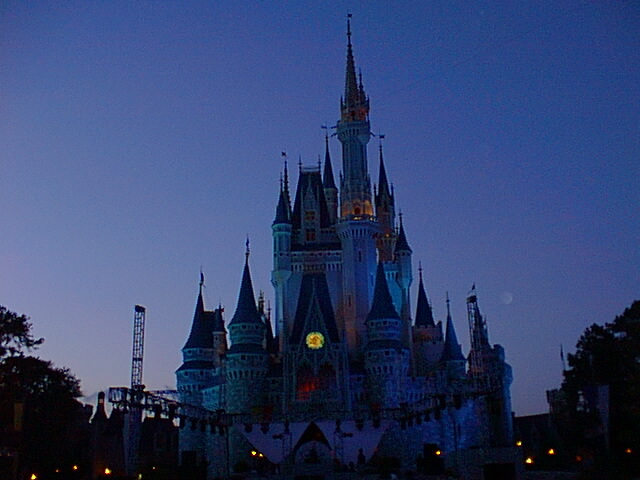 There's nothing like that very first glimpse of Cinderella's Castle! 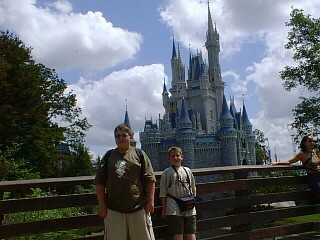 This was John's and Robby's first time ever. 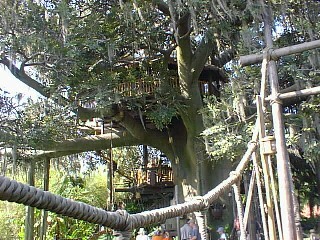 High atop the Swiss Family Robinson's treehouse. You can see forever on a clear day from up here! 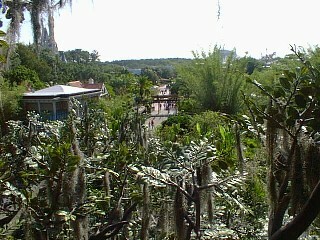 That's Space Mountain right beyond the tops of those trees in the center, and Cinderella's Castle to the left. 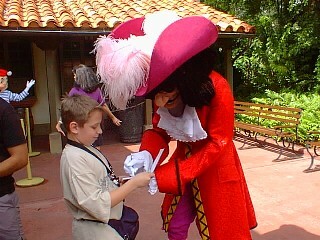 Captain Hook didn't realize that he made Craig's day when he threw the cap to his pen. Later on this trip, Hook smooshed a cupcake into Craig's face, at our insistence! :D Of course, Craig loved it. 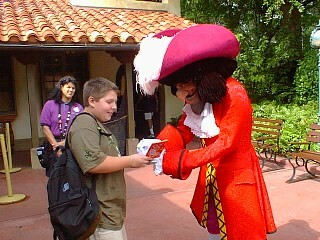 When it was Robby's turn to get Hook's autograph, he wisely removed the cap to his pen first. 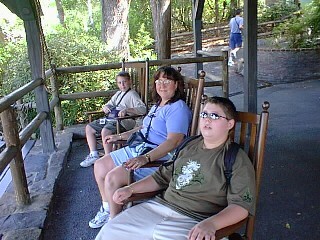 Relaxing on Tom Sawyer's Island, waiting for the ferry. The entrance to the Haunted Mansion. Notice NO lines?!?!? 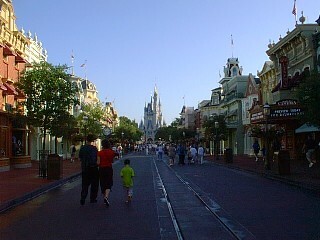 Early May is a wonderful time of year to go to Disney World. Another shot of the Haunted Mansion. 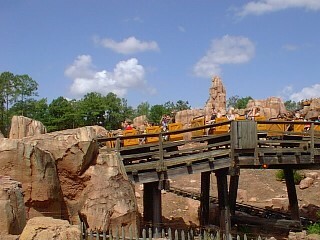 I took this while we were riding on the Liberty Belle Riverboat. Some time's it's nice to stop and smell the roses, so to speak. Disney World is just the place to take the time and notice the little things. Robby noticed this duck and her ducklings following her, and he followed them for several minutes as they waddled through the flowerbeds. I couldn't resist snapping this picture, we found this great view of the castle while walking from Frontierland to the Crystal Palace. It's a breathtaking sight to see Cinderella's Castle changing color. From our room at the Grand Floridian we were able to watch it change color all night.